The City of West Hollywood is a business community comprised of a mixture of industries from restaurants and entertainment, to luxury retail, art and design. Collectively, these thriving businesses further the City’s appeal for creative professionals. West Hollywood benefits from a very dense, compact urban form with small lots, mixed land use, and a walkable street grid. Entertainment includes the nightlife and dining focused on the Sunset Strip, along Santa Monica Boulevard, and the Avenues of Art & Design along Robertson, Melrose, and Beverly Boulevard. It is imperative that business owners in the West Hollywood, California market thoroughly research the types of marketing tools that are available to them both online and offline. In order to increase profit margins and generate quality leads, business owners in West Hollywood would be foolish not to take advantage of the most effective approaches to their company’s success. Today’s tech-savvy consumers are using a variety of digital platforms more than ever to research the places they spend their money. West Hollywood is home to some of the most notable attractions in the world such as: the infamous Sunset Strip, the Beverly Center, Melrose Avenue, Robertson Boulevard, the Laugh Factory, the Pacific Design Center, Whiskey a Go Go, the House of Blues, The Troubadour, The Roxy Theatre and Viper Room. Along with these attractions are the distinct neighborhoods of West Hollywood which include the Norma Triangle, West Hollywood North, West Hollywood West, West Hollywood East, and West Hollywood Heights — which all contribute to West Hollywood’s unique character. Residents in these areas quite often support their local businesses, but desire an effortless way to understand their potential consumer experience. At Invision Studio, we understand that in today’s business world, most business owners are always short on two things: time and money. To make things easier for your company, we created three powerful and reliable marketing tools to dynamically display your property ­- saving time and increasing profit. Over the years, we have has solidified ourselves as the best West Hollywood Virtual Tour Photographer by constantly staying on the leading edge of technology in our field to offer the highest quality Virtual Tour Services at affordable prices. We’ve also created ways to streamline our process for some of the quickest turnaround times in the 360 Photography industry. Along the way we began offering Real Estate Photography to accompany our 360 Virtual Tour Services as they both go hand­-in-­hand. In order to save our customers time and money, we did away with lighting and embraced HDR photography; thus decreasing shooting time on site (saving money) and increasing the quality of our Real Estate Photography. Our dedication to quality and attention to detail led us to soon become one of the best West Hollywood Real Estate Photography Companies. With the rising popularity and demand of Drone Photography Services, Invision Studio decided to bring the same quality, dependability and affordability of our Virtual Tours into the Drone Aerial Photography market. With a state­-of­-the-­art fleet of Aerial Drones that can capture ultra high res Aerial Drone Photos, and a staff of trained and certified Drone Photographers, Invision Studio is able to deliver some of the highest quality Aerial Photography Services on the market. Most recently, Invision Studio moved into the Virtual Reality world with the new Matterport 3D Tour technology. Their Matterport Pro 3D Camera uses a variety of infrared 2D and 3D sensors to quickly scan a room and capture the appearance and dimensions of a space. It calculates interior dimensions and captures objects, colors and textures to create a 3D Model Showcase of a West Hollywood, CA real estate listing or business. Within that showcase, a 3D Interactive walkthrough tour is created along with a 3D dollhouse floor plan that transports the user into an immersive virtual reality experience. With their skills and expertise in the field, they are known as one of the best Matterport 3D Tour service providers in West Hollywood, CA. 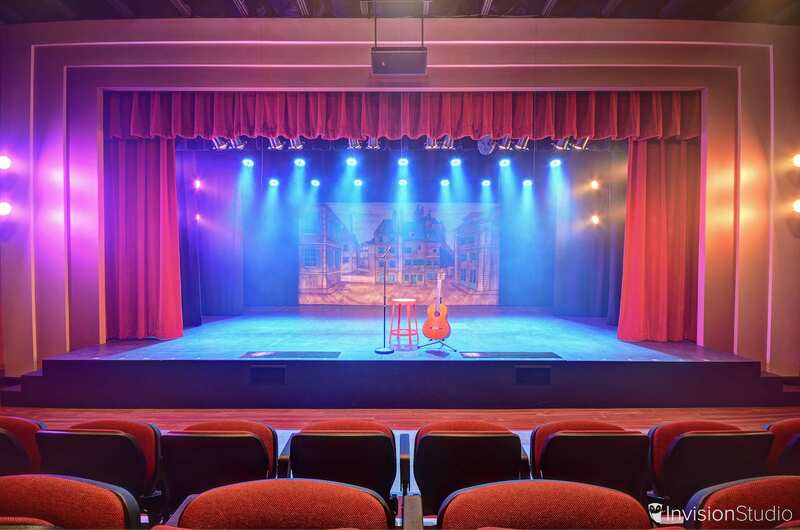 Whether you’re looking to provide your audience with an immersive experience of your business or property with 360 Photography or Matterport 3D Tours; or simply looking for breathtaking photography from inside, outside, and above, ­let Invision Studio help you bring your West Hollywood, CA business to life with our Virtual Tours, Drone Aerial Photography Services, Matterport 3D Tours, and HDR Real Estate Photography Services. Matterport 3D Tours for Real Estate are a great way to create a virtual 24 hour open house for your San Diego, CA listing. With features such as 3D dollhouse floor plans and 3D guided tours, Matterport 3D Tour technology delivers an immersive walkthrough experience unlike anything in the West Hollywood, CA Real Estate market. There is no better beneficiary of Matterport 3D Tours than the Commercial Real Estate and Commercial Leasing industries. Matterport 3D Tours can help a prospective commercial buyer or tenant map out the viability of the space for their industry needs, especially with the growing prosperity of West Hollywood, CA. Office Management companies leasing co-working spaces and creative spaces can use Matterport 3D Tours to create an immersive virtual reality experience when showcasing office amenities such as conference rooms, reception, community spaces, lounges, and most importantly — the offices themselves. This is especially beneficial for companies or clients that are located outside of West Hollywood, CA as most new tenants are moving from out of area locations. Matterport 3D Tours for Restaurants & Bars in West Hollywood, CA are helpful in recreating an authentic virtual dining experience by replicating the style and ambiance of the Restaurant as a powerful and innovative online marketing tool. The 3D Dollhouse floor plan feature is incredibly important for bars & restaurants that also use their venue as a special event space by allowing their clients to immersively view the space with the Matterport 3D Tours and map out the space for event planning. 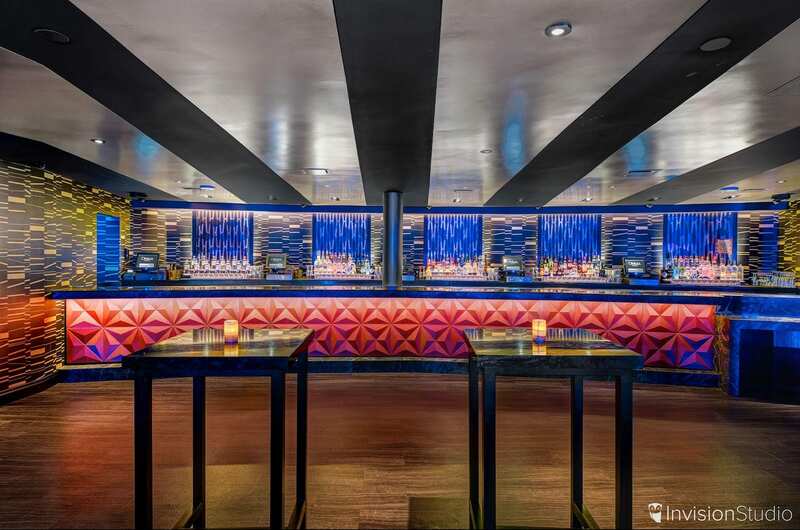 As a leading Nightclub Matterport 3D Tour company in West Hollywood, CA, Invision Studio has helped Clubs and Venues virtually present their concept in a new and innovative way. The Matterport 3D Visualization showcase is one of the hottest new virtual reality trends on the market today. 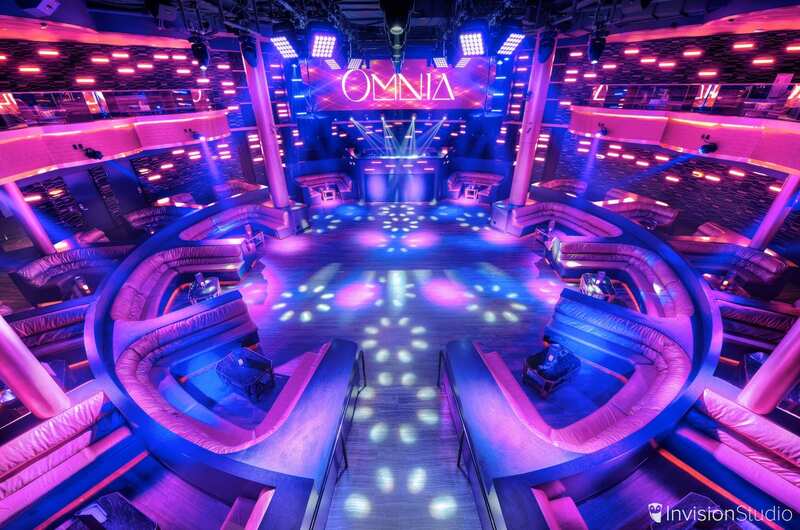 The cutting edge tool allows potential clubgoer’s to immerse themselves in the nightclub or experience to create an emotional connection with the venue as well as providing the all important “WOW” factor that sets nightclubs apart from one another. In West Hollywood, CA, our Hotel Matterport 3D Tour services help the Hotels and Resorts exhibit their amenities and allow travelers to tour their different room options from anywhere in the world as if they were there in person. Our Hotel Matterport 3D Home Tour Services help tremendously in booking and filling vacancies by allowing customers to view the different floor plans, layouts, and designs of each hotel room as well as any interior hotel amenities no matter where they are in the world. With the rise of Vacation Rental companies like Airbnb and VRBO, our Vacation Rental Matterport 3D Tour Services have become increasingly helpful in displaying listings. With features such as 3D dollhouse floor plans and 3D guided tours, Matterport 3D Home Tours deliver an immersive walkthrough experience unlike anything in the West Hollywood, CA Vacation Rental market. With the increase in competition, each property owner needs to find innovative ways like Matterport 3D Tours to help fill their vacancies. 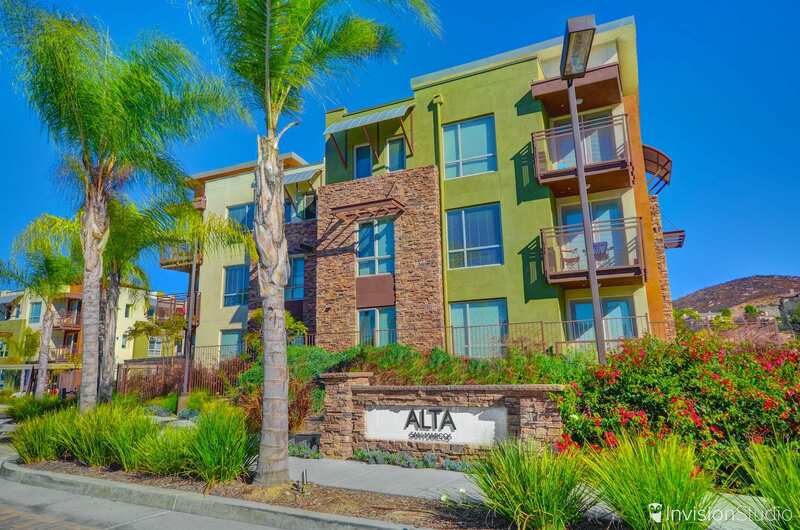 Apartment Communities in West Hollywood, CA can use Virtual Tours for previewing their amenities, model units, and provide peace of mind for prospective tenants during their search for an apartment, loft, or studio. As the premier Nightclub Virtual Tour Company in West Hollywood, CA, Invision Studio has helped Clubs and Venues in San Diego virtually present their concept. They can even have customers choose and book VIP tables live within the 360 Tour. In West Hollywood, CA, our Hotel Virtual Tour Services help Hotels and Resorts exhibit their amenities and allow travelers to virtually tour their different room options from anywhere in the world. Our Hotel Virtual Tour Services help quite regularly in booking and filling vacancies. Special event venues in West Hollywood, CA can find 360 Virtual Tours useful in creating an immersive virtual walkthrough for clients looking to rent venues such as corporate event spaces, wedding venues, meeting spaces, party venues, photos shoot locations, social event spaces, and more. 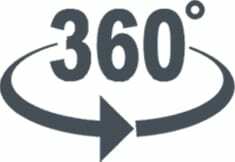 Furthermore, 360 Virtual Tours ultimately become the key component for event planners to coordinate and organize the special events themselves by virtually walking through the space with their clients and planning the setup and details of each event anytime even if the space is being used or the clients are across the county. West Hollywood College Virtual Tours allow prospective students to tour the campus facilities, get a feel for campus life, tour housing and dining, and even virtually sit in on a lecture. Schools & Universities in West Hollywood, CA that use Virtual Tours have seen a major increase in interest and enrollment numbers. With the growth of Vacation Rental companies like Airbnb and VRBO, our West Hollywood, CA Vacation Rental Virtual Tour Services have become quite accommodating in showcasing Vacation Rental listings. With the increase in competition, every Vacation Rental property owner needs to find a unique way like 360 Photography to fill their vacancies. Photography is just as important with all of the housing in West Hollywood, CA. Professional quality HDR Real Estate Photography is key to a Realtor’s success in displaying a Real Estate listing in it’s best light in order to drive potential buyers to the real estate listing. 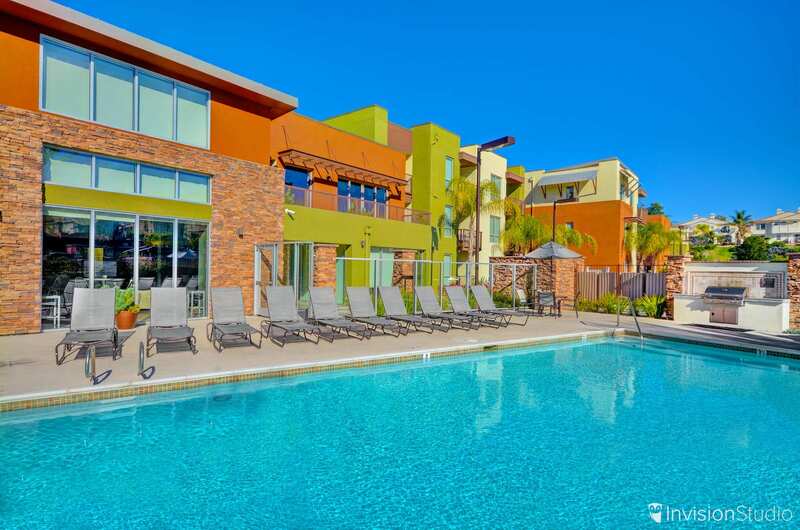 Professional Apartment Photography Services in West Hollywood, CA have become a necessity with the expansion of multi-housing communities in West Hollywood, CA. Professional Apartment Photography Services of amenities and model units can help create value for prospective tenants by eliminating uncertainty. Nightclubs & Venues in West Hollywood, CA rely on Venue Photography services to help book corporate events, location filming, and renting out their space. Our West Hollywood, CA Venue Photography Company can capture the best angles of any nightclub or venue even in incredibly low light settings. In West Hollywood, CA, our Hotel Photography Services help Hotels and Resorts showcase their amenities and allow visitors to view their room options from anywhere in the world. A great West Hollywood Hotel Photography Company will make all the difference in showing your hotel in the best way possible to fill vacancies quickly and frequently. Aerial Photography is a new tool that is becoming more widespread in West Hollywood, CA. Quality Aerial Photography Services can provide aerial photos that capture all angles of the home, it’s features, property line, surrounding neighborhood and drive buyers to the listing. The demand for Apartment Aerial Photography Services is growing for multi-­housing communities in West Hollywood, CA. Drone Aerial Photography Services can capture amenities, property layouts, surrounding shopping malls, neighborhoods and wide angle bird’s eye views that expose a Apartment Community in a whole new way. Hotel Aerial Photography can capture the entire hotel from an elevated perspective compared to photos from ground level. Our Aerial Photography Company in West Hollywood, CA has the ability to capture the layout of a resort as well as their pools and exterior amenities, even from slightly elevated angles previously unattainable. West Hollywood College Virtual Tours allow prospective students to tour the campus facilities, get a feel for campus life, tour housing and dining, and even virtually sit in on a lecture. Schools & Universities in San Diego that use Virtual Tours have seen a major increase in interest and enrollment numbers. Drone Aerial Photography Services for Colleges and Universities have allowed the schools in West Hollywood, CA to display their campus in its entirety from a bird’s­ eye­-view. A Professional Drone Aerial Photography Company can also provide elevated shots for all of the buildings, facilities, housing, and campus landmarks within each University. Is Invision Studio local to West Hollywood, CA and its surrounding areas? Yes, we are local to West Hollywood, California and serve all of the surrounding areas. What is the cost for Travel within West Hollywood, CA? There is no charge for travel within the city. We will not charge for gas/travel for any property within a 50 mile radius of West Hollywood, CA. Do you provide provide 360 Photography, Aerial Real Estate Photography, and HDR Real Estate Photography Services outside of West Hollywood, CA? We do provide 360 Photography, Aerial Real Estate Photography, and HDR Real Estate Photography Services nationwide with an additional travel cost. Do you have a business license to operate in West Hollywood, CA? Do you serve the suburbs of West Hollywood, CA? 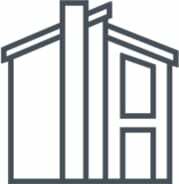 Yes, we serve Norma Triangle, West Hollywood North, West Hollywood West, West Hollywood East, and West Hollywood Heights and all others within the West Hollywood area. What do you do when the weather is not adequate for shooting in West Hollywood, California. (Rain, clouds, etc.)? 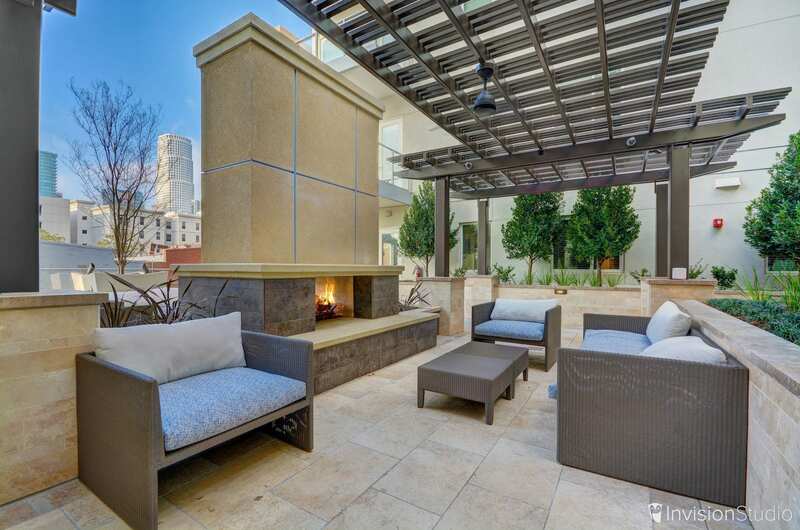 Should the weather not be adequate for shooting 360 Degree Photography, Aerial Real Estate Photography Services, or HDR Real Estate Photography in West Hollywood, CA, we will happily reschedule the shoot for the next convenient and available time at no cost. Are you allowed to shoot in public areas in West Hollywood, CA? We are allowed to shoot photography in public areas in West Hollywood, CA as long as we blur out any faces, license plates, and personal information. Are you insured to operate in West Hollywood, CA? Yes, we have insurance to shoot each type of photography we offer. 360 Virtual Tours, Aerial Photography Services, and HDR Real Estate Photography. We have golf courses here in West Hollywood, California, can they use your services? We have Senior Living Communities in West Hollywood, California, can they benefit from your services? In West Hollywood there are a lot of Warehouses and Factories; can you service them? These two industries can benefit from our service more than most others in West Hollywood, CA. Warehouse Virtual Tours and Factory Virtual Tours are perfect ways to provide an interactive walkthrough of the assembly lines and logistical processes. A West Hollywood Matterport 3D Tour Model is a complete three-dimensional representation of a space, which lets you “walk” through the space to experience it as if you were there in person. Can I brand my West Hollywood Matterport 3D Tour? West Hollywood Matterport 3D Tours incorporate customer brand name identification on the loading screen and as a constant field in 3D Showcase, so you always know who represents a listing or property. What is the About Panel on an West Hollywood Matterport 3D Tours? Add the info your viewers need with the About Panel featured on your West Hollywood Matterport 3D Tours, a panel in the top left-hand corner of every Matterport 3D Tour Showcase which includes the ability to add a brand name, model name, a brief description of the listing, and a link to a model’s Google Maps location. With the About Panel, context can be added to an West Hollywood Matterport 3D Tour Space, enhancing the appearance and functionality of a Matterport 3D Tour Showcase, giving you an incredible opportunity to promote your brand or property the right way. How long does it take to scan a typical home in West Hollywood, CA? For residential properties in West Hollywood, 200 scans is ample enough to build Models up to approximately 10,000 square feet. The exact square footage will vary depending on the layout of the property and furniture. Does the Matterport 3D Tour Camera scan outdoor areas in West Hollywood, CA? Display a unique perspective of your West Hollywood, CA property or business with 3D Floorplans through your Matterport 3D Tours. From a simple web application, customers can preview a photographic floorplan, then see the property from a completely one of a kind 3D floorplan view known as the “Dollhouse” feature; getting an entire understanding of the layout of the property before leaping inside. Are Matterport 3D Tours West Hollywood MLS Listing Friendly? West Hollywood's MLS Compliance shall be assured for users who feature their Matterport 3D Showcase on their Real Estate listing. You can pull a dedicated, MLS-safe URL for any Matterport Space, which does not include your company name (complying with those MLSs that limit the display of brand information).